The boarding school had relatively small rooms that needed to accommodate two students each and StudyBeds proved to be the perfect solution. 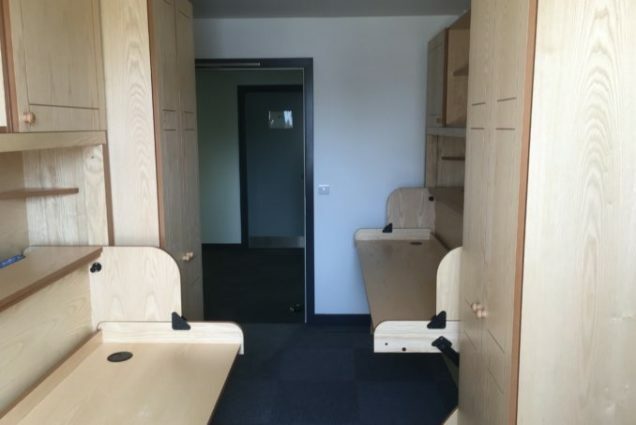 The space-saving design that combines a large desk and comfortable bed in the same compact footprint means that each student has plenty of space to work and sleep whilst providing a clear division of personal space within the room. They also made use of our matching furniture meaning that each student has plenty of storage space too – no excuses for untidy bedrooms at this college! The beds have been extremely well received by staff and students alike and they are looking forward to a successful year. Prev:Fun In The Sun at BBC Countryfile Live!